It’s the time of year for ‘Best Of 2013’ lists, so I thought I’d create my own. This list contains the 13 best multi-platform (web, iOS, Android, etc.) apps and sites for the classroom (in my opinion). Whether you’re a BYOT, 1:1 iPad, 1:1 Chromebook, 1:1 something else, or still convincing the movers and shakers in your building to switch to a BYO or 1:1 program, you’ll be able to use all 13 of these sites with your students! 13: YouTube: With over 6 billion hours of video being watched from the site every month, there is no explanation needed for the video sharing giant. However, it is worth putting on this list for many reasons. You can enrich your classroom with TED talks, Kahn academy videos, and much, much more coming from YouTube. Your students can upload and share their own video creations to reach a much broader audience than the 20-30 kids in your class. It goes without saying that YouTube has become a very powerful tool in education. 12: Skype: Has your field trip funding been cut? Bringing in a guest speaker not feasible because of the cost and distance? Then give Skype a try! Skype has literally removed the walls, roads, mountains and oceans from our classrooms. Your students can now connect, face to face with anyone in the world. Their website has a lot of lesson ideas, volunteer guest speakers, and more. Check out PD I did with my teachers about Skype here. 11: Evernote: Evernote is like having every notebook you’ve ever created, every idea you’ve jotted down, and every resource you’ve collected with you at all times. You can share notebooks you’ve created with other people to view or collaborate with you. You can snip webpages, upload photos and so much more. Their enterprise has expanded to additional apps to make Evernote even more powerful, and they’re even making hardware now. Evernote kept me organized as a varsity cheerleading coach. You’ll never run out of uses for Evernote. 10: Linoit: Always coming up with new ideas on the go? 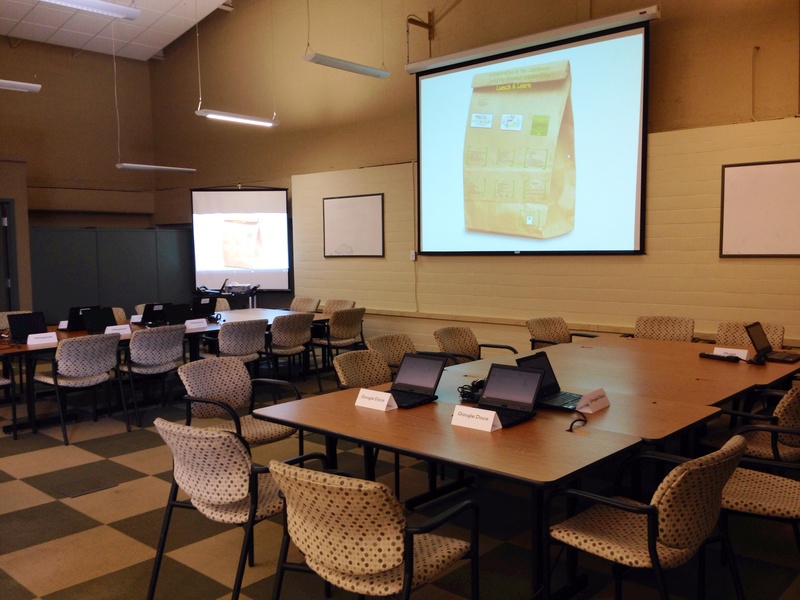 Looking for a space where your students can collaborate and brainstorm? Then Linoit may be just what you need! Linoit is an online bulletin board that you can keep private or share with others to collaborate with you. You can post stickies, photos, videos, documents and even post to your boards via email. To create a board, you will need an account, but (depending on your settings) you can allow your students to post to the board without an account- one less password to remember! Check out PD I did with my teachers about Linoit here. 9: StudyBlue: These online flashcards will help your students study & produce less paper waste! Based on the flash cards you create, or use from the millions of other sets already uploaded, study blue will quiz you and give you progress reports and feedback. It syncs with Evernote and you can collaborate and share your set of flash cards with others. 8: NearPod: With all this talk of flipping the classroom, making classrooms student centered as opposed to teacher centered, I think some teachers get the idea that people expect them to remove all lecture from their classrooms. While I agree with making our teaching more student centered, I think there is still a need in each classroom for some good old lecture sometimes. NearPod takes those traditional boring, dis-engaged PowerPoint lectures and turns them into a whole new experience for kids. You control what slide your students see and there are many different activities you can embed in the presentation for formative assessment. 7: TodaysMeet: This backchannel is a great way to answer questions, or better yet, have students answer other students questions (or teachers answer other teachers questions during PD), without interrupting the entire room. It allows you to continue flowing with your lesson without leaving others behind who may be confused about something. It has also become a powerful tool used at conferences. There is no app for iOS and Android as of now, but the mobile web version still functions on those devices. 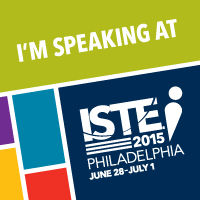 6: InfuseLearning: Talk about a formative assessment revolution! InfuseLearning is similar to Socrative; there are a number of different question types you can use with your students throughout a lesson. Teachers need an account to create and save their questions ahead of time, but students do not need an account! They simply use an access code to get to your questions. The reason I like InfuseLearning more than Socrative is the draw feature (at least at the time this post was written, Socrative did not have this feature to my knowledge). Once you’re finished with the lesson, you can download students’ responses for immediate feedback on your lesson and their understanding. 5: WordPress: This is a powerful, free, blogging platform with many different privacy settings to keep your students’ thoughts as private or as public as you want them to be. Blogging is an incredible way for students to practice their writing skills, collaborate with other students, connect to others outside of the building, and really begin to take their writing seriously. One of the teachers at my school has really done some incredible things with WordPress and class blogs. Even if you’re not ready to take the step to get your students blogging (I promise it’s not as tough as it may seem. Here are some resources to get you started! ), I would highly recommend blogging yourself. It’s a great way to reflect on what you’ve done, remember what worked & what you need to change this time next year, and share resources and ideas with other educators. Don’t keep all those great things you’re doing in your class to yourself! 4. WeVideo: This video editor makes it easy for students to upload, edit and share impressive videos. 3: Google Drive: This list would be nothing if it didn’t contain Google Drive and Docs, Spreadsheets, Presentations and Forms. The Drive allows you to upload and share documents with anyone in the world. Docs, Spreadsheets and Presentations allow your students to create, share and collaborate with others on their work. Group activities, peer editing, and collaborative work takes on a whole new meaning with Google Drive apps. Forms allow you to create surveys, quizzes, collect contact information and more very easily, and it automatically puts the responses in a Google Spreadsheet to easily analyze the information. I couldn’t say enough positive things about these innovative tools. 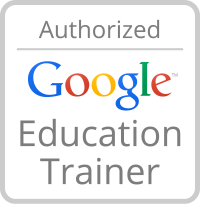 Check out PD I did with my teachers about Google Drive and Apps here. 2. Twitter: Who would have ever thought 140 character thoughts would become such an important part of the education process? Whether you use it with your students or not, you’ve GOT to get on Twitter and start connecting with other educators for yourself! I’ve learned more and gotten more ideas from my PLN on Twitter than any single undergraduate and graduate course or school provided PD session. The real power of Twitter comes from weekly chats, where educators come together on the same day/time every week using a #hashtag. It’s now, it’s immediate, it’s relevant, it’s people who are experiencing the same things as you, it’s easy and it’s free. Read about the PD I put on for my teachers here. For a list of my Twitter resources, click here. 1. Schoology: I picked Schoology as the number one, multi-platform edtech tool because of it’s versatility. In one place, you can organize your classroom with the easy to use LMS, have online discussions with your students, collect and grade work from students, create and grade with rubrics, give tests & quizzes and receive immediate data about students’ performance, reward students with badges, and SO much more! I very much prefer Schoology to Edmodo for a number of reasons, click here to read why. Schoology brings a whole new element to your classroom! 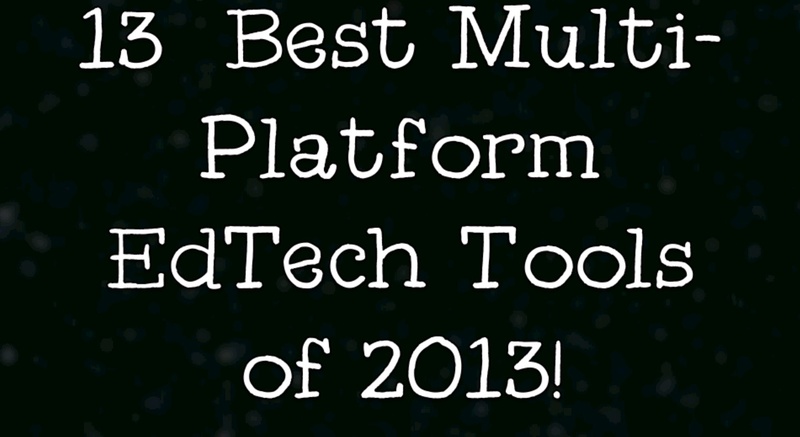 So there you go- there’s my top 13 multi-platform edtech tools of 2013 list! What multi-platform tools would you add to the list? You don’t know what you don’t know, right? And there are SO many educational technology tools out there, with new ones arriving and leaving us everyday, that it’s hard to keep up. That’s why I started these monthly 5 in 5 episodes that highlight five edtech tools in five minutes (okay, you caught me-under six minutes). You may not have the time to go searching for a specific tool for hours and then spend a few more hours learning how to use the tool. But surely you have five minutes to learn about five different tools each month! Obviously, you won’t find out everything you need to know about a tool in one minute. At least this is a starting point. You’ll be able to judge if the tool is worth your time and get an idea if it has a place in your classroom based on your needs. So, if you’ve got 15 minutes now, get caught up on the first three episodes. For the videos, the Prezis, Diigo links to all the sites featured in the episodes and more, visit my website. If you don’t want to miss another episode, subscribe to the iTunes podcast channel here. What sites do you think I should feature? The second session of my Lunch & Learn series took place today. It was the session I was most looking forward to in the whole series- Collaboration in the Classroom: Tools for Student Collaboration! This session focused on Google Docs, Linoit, Skype and Wikispaces. As always, I began with a pre-survey of teachers’ current use. I asked for three pieces of information to plan the 50 minute sessions. Describe what collaboration looks like in your classroom. What tools do you currently use for student collaboration? I made word clouds in Tagxedo out of the first two questions, which I included in the Prezi for the session to share their responses. Based on feedback from the first session, I wanted this session to allow more time for teachers to get their hands dirty and use the tools. So I started out with a brief introduction, and then had them dive right in! I had Tablet PCs set up all around tables, each labeled with the tool set up and signed in on that machine. Beforehand, I had created multiple accounts to be used during this session (three accounts for Google Docs to simulate three students, etc. ), so we didn’t have to waste time creating accounts, logging in, and getting set up. Teachers had about 20-25 minutes to explore the tool in front of them with a few other people in their group (“tasks” for each tool are listed at the bottom of this post under each tool). I walked around to help groups when needed, but for the most part teachers were really able to just dive right in and start exploring. There was even a person across the library, so the Skype group could actually practice Skyping. We came together for the last 15 minutes of the session, and I asked each group to share what they had found out about their tool. I filled in the blanks to make sure the big points were touched on. If I had more time I definitely would have rotated each group, so they could have all tested each tool before coming back together to share. So far, the post-survey responses seem to be in agreement that teachers would have liked more time on this topic and they all learned something they will apply to their classes- YAY! I heard a lot of “let’s meet to set this up for my class…,” which is music to my ears! I provided resources for each tool in our PD Course in Schoology for reference at a later time. I’ve included some of that info below (with the exception of links to our practice examples). I also gave teachers all the test account log in information, so they could play around with it on their own if they wanted to do so before diving in and setting up their own accounts. 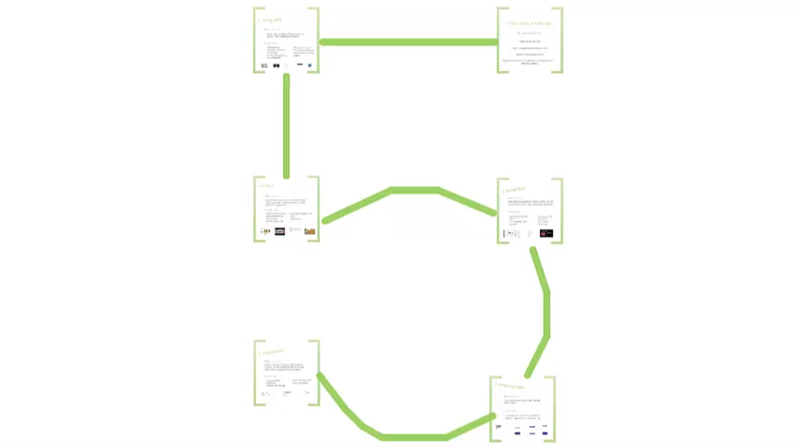 To check out the Prezi that describes and highlights each tool, click here. What do you think of this format? How have you used these tools in your class?